There are plenty of other knots that can be used for an end knot, but the Bowline is an essential knot to learn as it’s very versatile. Its main advantage is that it is easy to undo if it has been under load. When using the Bowline in a life support situation it must be backed up with a stopper knot. As with all knots, remember to tie, dress and set it with care. 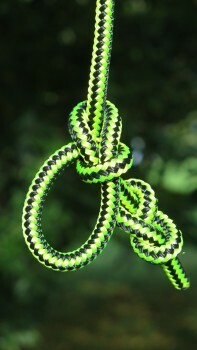 For other variations of the bowline look up; Running bowline, bowline on a bight and mountaineering bowline. There’s no need to hit the volume as this video has no sound.